Gold-filled Tudor Oyster from the rare English cities series. 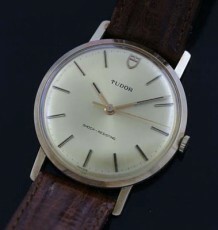 This vintage Tudor watch is from the collectible Tudor English Cities collection. 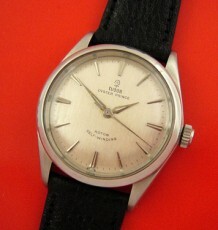 The English cities series was introduced in the 1950’s and included a number of models not frequently seem, . The watch has an original white dial with luminous hands , luminous Arabic hour markers and sweep seconds pattern. 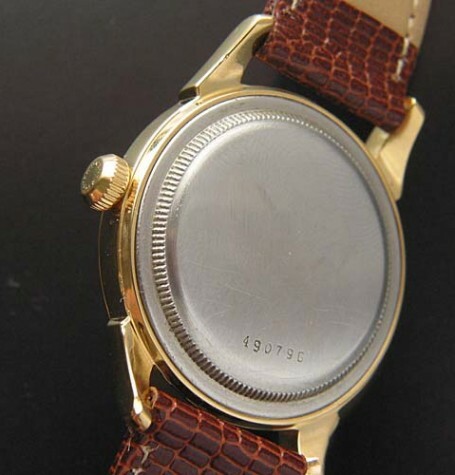 The dial does have some subtle patina which appears to be radium burn from the watch sitting unused for years. 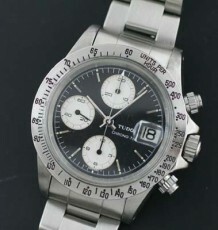 This is hardly distracting and is all part of the history of this beautiful watch. 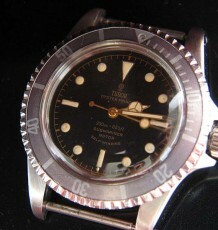 Note the delicate Tudor small rose emblem which collectors are seeking. The overall impression of the flared lug Oyster case is that the watch exudes all the classic Rolex styling and strength of a modern Oyster, yet at a fraction of the price. A brand new Old stock vintage Rolex Oyster Patent crown has been installed, ensuring another generation of flawless service for the new owner. 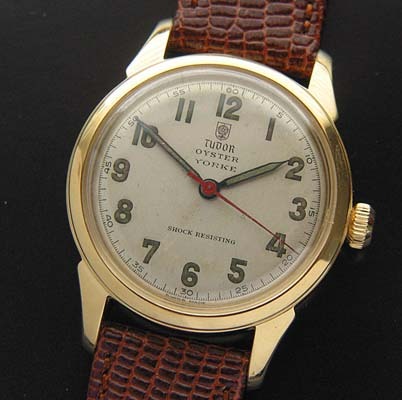 The watch is fitted with the Tudor version of the Rolex contract calibre 59 movement, which has just been serviced by my Rolex trained watchmaker and is keeping great time. The case measures 34.5 mm wide by 43 mm long and is supplied on your choice of a new black or brown padded leather strap.